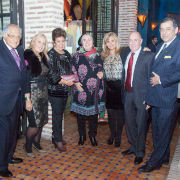 Spanish Friends of Tel Aviv University hosted the official launch of the third phase of the Madrid Project, a collaboration between TAU’s Jaime and Joan Constantiner School of Education and the Jewish Community of Madrid (JCM). The project’s goal is to strengthen Jewish identity and appreciation of Israel at the Estrella Toledano-Ibn Gabirol Center in Madrid, the only Jewish school in Spain for children under 18 years of age, operated under the auspices of the JCM. Former dean of the School of Education, Prof. David Mioduser, addressed the gathering of parents, students, teachers and guests, explaining that the three-year program expands on a project that was initiated in 2001. 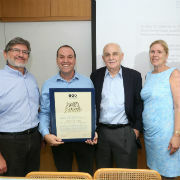 TAU will continue providing the latest in technology and guidance to teachers and students alike, helping to promote a dynamic and interactive learning environment through innovative educational techniques and advanced technology, he noted. 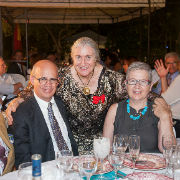 Attendees included Spanish Friends Co-President Patricia Nahmad; Councilor for Culture and Education of the City of Alcobendas, Fernando Martínez Rodríguez; and the Principal of Estrella |Toledano-Ibn Gabirol Center, Luna Alfón.